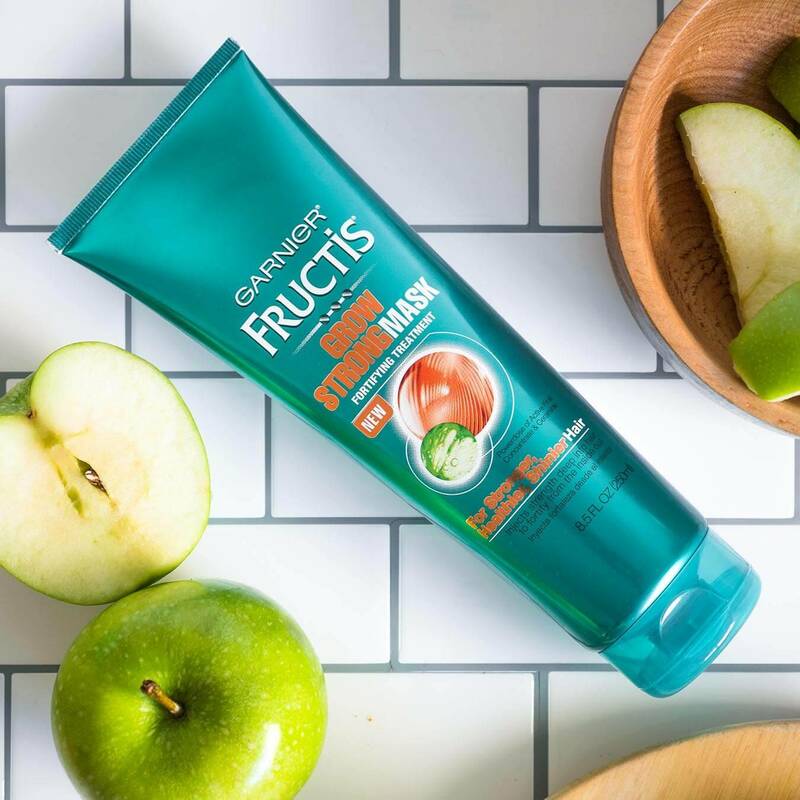 Concentrated yet lightweight Fructis Grow Strong Fortifying Mask, with Apple Extract and Ceramide, injects strength deep into hair to fortify from root to tip. 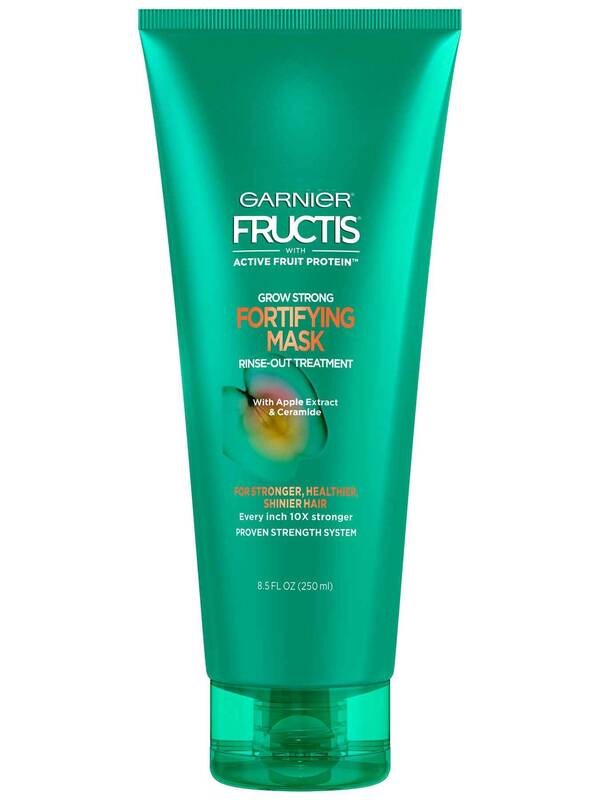 After using Grow Strong shampoo, apply the mask from root to tip. Leave on for 3 to 5 minutes. Rinse. Follow with Grow Strong leave-in serum. 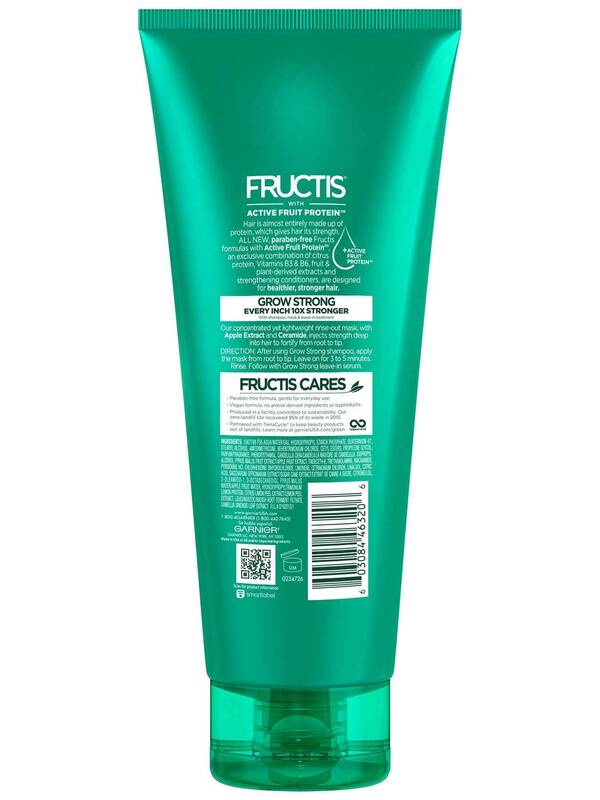 Rated 5 out of 5 by brackesm from Amazing I started the shampoo and conditioner maybe a month or so ago and its the best stuff ever! I've noticed about a whole inch of growth. I was dealing with pesky bangs that would not go behind my ears and now they are almost down to my ear lobe. I need to find the mask and the serum. It is definitely worth a try!!! Rated 5 out of 5 by Purplicious2u from Awesome product I love this product BUT can't find it anywhere to purchase since I ran out!!! What's up with that Garnier??? ?